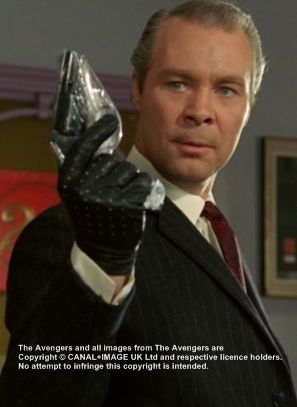 The Dissolute site lists Who's killing Whom in The Avengers and The New Avengers, you can find the victims, the killers and the means of killing there. Steed is shooting at people with guns, he killed or at least injured several people doing so. Harvey in The Sell-Out, Siegel in The Removal Men, the man at the balcony of the Parliament in November Five, Manley in The Gilded Cage, one of the officers in The Golden Fleece (shot in the arm). 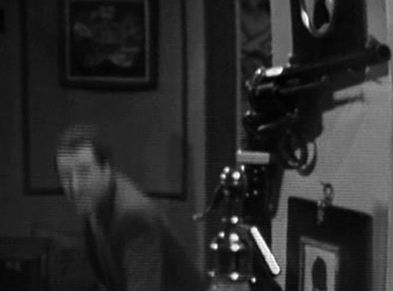 There's a gun in Steed's flat in each series. 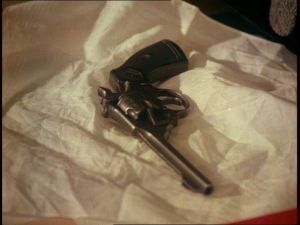 Steed owns a revolver: it can be seen at least in TNA Hostage (his Enfield no.2 revolver), The White Elephant (22 Revolver Colt Officers Match series 3) and Mr. Teddy Bear (series 2) and Dial a Deadly Number (38 Smith and Wesson). There's a gun in his desk drawer in The Mauritius Penny (a 38 colt trooper revolver), Something Nasty in the Nursery (Webley Mark 3 revolver),TNA Hostage, and TNA Medium Rare. His weapon got stolen in The Mauritius Penny, The Curious Case of the Countless Clues and TNA Hostage. The pistol with the silencer that is in his flat in The Murder Market in series 4 is not his own. He never uses a shoulder or belt holster for it, most of the time he just puts the gun into the jacket pocket. In TNA Hostage Steed used a small pistol which he could hide in the bowler, that proves that Steed has more than one gun in his home. 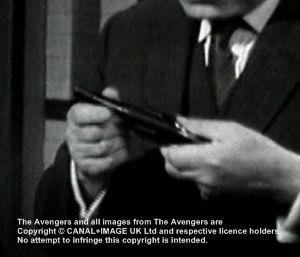 Three of many episodes when Steed has to use a gun in The Avengers. But John Steed is not a man who likes guns or who likes to use it. Therefore this scene from The Danger Makers is a typical Steed one. 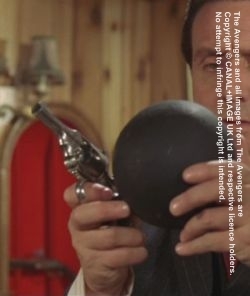 First, he's cheating, and by doing so he's able to get his hands on the major's weapon, then he threatens the major, but when the officer tries to attack Steed, he does not use the gun to shoot on the man. He simply rams his weapon in the major's abdomen and immobilizes him - very efficient, but not lethal. Younger Steed (series 2) is using guns more often than "elder" Steed in series 4 -6. In series 2 he used a gun in almost every episode except Dead on Course, Box of Tricks, The Golden Eggs, School for Traitors. He used his gun in The Sell-Out, Death Dispatch, Mr Teddy Bear, The Removal Man, The Mauritius Penny, Warlock, The White Dwarf, Conspiracy of Silence, Six Hand Across a Table, Killer Whale. 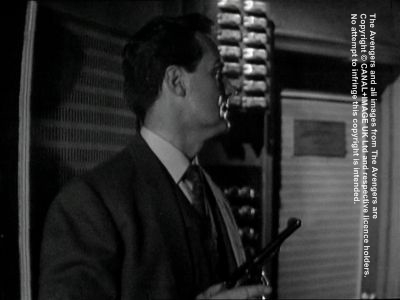 In other episodes he disarmed his opponents and used their guns afterward, rifles appeared in Intercrime and on the funfair in Man in the Mirror, where Steed was forced to defend himself with it. 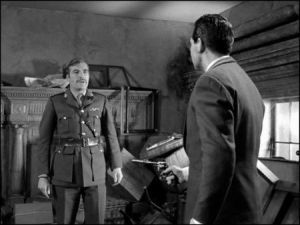 At the end of episode Intercrime Steed gets delivered a massive box with rifles and guns which he had ordered with Rifles Ranges International Ltd. and had forgotten to cancel the order - maybe this delivery was the basis for his collection of weapons in his other flats.